Thirty Years after he followed a star to Bethlemen, one of the Magi is back on another mission. This time, he is sent not to an infant "king of the Jews," but to the king's brother James. The sons of Joseph run a successful carpentry business in Nazareth. At least, it was successful until the oldest Brother, Jesus, left home to tell the world he will forgive their sins and save their souls. Now everyone is hearing outlandish reports of healings and exorcisms. Business is suffering; not many people want a stool made by the family of the local crazy man. James wants nothing more than to shut out the strangeness and have a normal life. But normal walked out the day his brother did, and strange things keep happening. 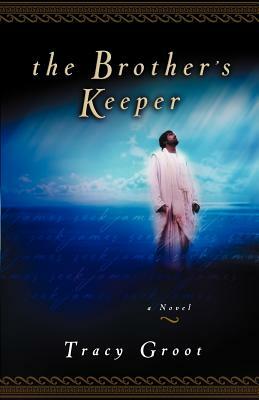 One brother starts listening to Jesus' troubling speeches. Fanatical Zealots descend on Nazereth to convince the family to join their fight against Rome. An eerie visitor with a foreign accent tells James to "consider it all joy." James knows that this year's Passover pilgrimage will be more important than ever. He must find Jesus and talk some sense into him. He must warn of a possible plot against Jesus. And he must decide for himself who his brother really is. What does James not know, on the dusty road to Jerusalem, is that more than one faction has murder on it's mind. Tracy Groot is a part time writer, full-time mother, and co-owner with her husband, Jack, of a coffee shop in Holland, Michigan.